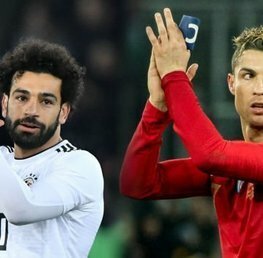 Real Madrid vs Liverpool: Can Ronaldo Guide Real to More Glory? 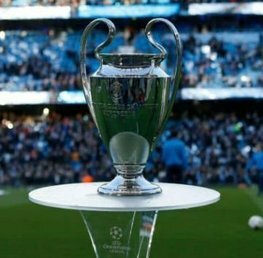 It’s a re-run of the 1981 Champions Cup final, only this time with the prospect of a lot more goals as Liverpool and Real Madrid meet in Kyiv. There are many fascinating battles all over the pitch but none more so than in the final third. Zinedine Zidane may choose to reunite BBC, enthusing about Gareth Bale’s determination and focus earlier this week. But it all boils down to Cristiano. Ronaldo is the competitions top scorer this season with 15 goals in 12 games and 25 in his last 17 Champions League matches. 120 goals in total, in 152 appearances; his phenomenal record shows no sign of ending. Liverpool are pinning their hopes on not one man but three. Mo Salah grabs the headlines, but Roberto Firmino and Sadio Mane are equally as important. That is the beauty of the Reds Champions League run; they are not reliant on any one player with the trio having 29 goals between them – Mane on 9, Firmino and Salah 10 each. Which is where the intriguing aspect of the match comes into play. Both goalkeepers – Kaylor Navas and Loris Karius – are prone to errors and great moments in equal measure. Will the match be decided by one of their mistakes? It’s been a strange season for Los Merengues. The defence of their La Liga title never got going and their Champions League campaign is pock-marked with worrying defeats and near-misses. None more so than in the quarter-final where Juventus came within a last-gasp Cristiano Ronaldo penalty of taking revenge for defeat in last season’s final. Tottenham took four points from them in the group stage while Bayern Munich are still trying to work out how they failed to win the second leg of the semi-final. And yet here they are, in their 16th final (W12, L3) and looking to become the first club to win three consecutive Champions League finals. Away from home in the knockout stages saw Real at their imperious best; PSG, Juventus and Bayern Munich were all beaten comfortably but the latter pair made the Spaniards sweat for victory. That will give Liverpool hope. More so the defence. Kaylor Navas gave fans and team-mates kittens during the home legs against Juve and Bayern. His skittishness under pressure makes it hard to fathom whether he will be a hero or fall to zero in a matter of minutes. Disconcertingly, the defence shows a predilection for conceding goals in away matches. 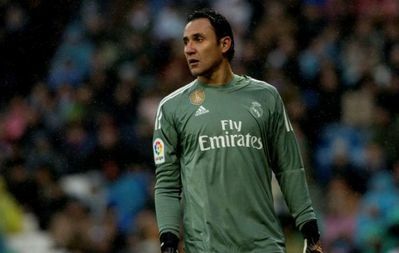 In the 17 games of 2018, Real has just four clean sheets to their name. While they suffered only two defeats in those matches, it puts pressure on the strikers to deliver. Fortunately, Ronaldo is doing so. No-one has yet found a way of stopping him dominating the Champions League final; can Liverpool be the first side to do so? 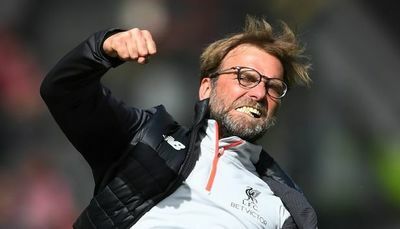 Fourth place in the Premier League and a Champions League final marks this out as a successful season for Jurgen Klopp. 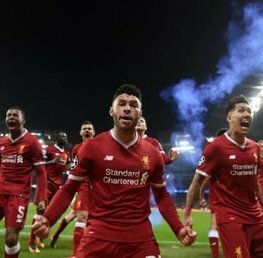 Particularly Europe; the Reds created a new Champions League record in the semi-final, notching up their 46th goal and surpassing Barcelona’s previous record of 45 in one season. There have been some phenomenal results for them in this season’s competition: 7 – 0 at Maribor, 5 – 0 at Porto; they have scored in every away game so far. Yet the defensive laxness haunts them. Roma were within one goal of extra-time having been dead and buried at 5 – 0 in the first leg. Losing two late goals at Anfield almost cost Liverpool their place in Kyiv. As a manager, Jurgen Klopp’s record against Real stands comparison with anyone’s, suffering just two defeats in his six matches (W3, D1). How Liverpool fans will be hoping for that success to continue. If Real win, Cristiano Ronaldo becomes the fifth player to win five Champions League finals. Real have scored two or more in eight of the last 10 matches in all competitions. Real Madrid: 6/5 – Visit Paddy Power! Draw: 13/5 – Visit Betfred! Liverpool: 21/10 – Visit Betfair! Two teams whose form drifted as the season came to an end will put that behind them in Kyiv. The Champions League is Real Madrid’s competition and for three of the past four seasons, they owned it. Can Liverpool stop them? They have the firepower to do so and Real will pay close attention to the movement of Firmino and pace of Salah. With Mane, there’s every chance he’ll miss a dozen or score a hat-trick. He is so brilliantly unpredictable that not even he knows how 90 minutes will turn out. But with the attacking array on both sides, the defences will be working harder. For Liverpool the return to midfield of Emre Can is timely but there’s a sense Real’s back four are better organised and attuned to each other than the Merseysiders. It’s this which may be the crucial difference. Liverpool pulled off an incredible win in Istanbul but were humbled by the same AC Milan side two years later. This time around, they are set to be schooled by the defending cup holders. Real Madrid to win by two goals at 11/2 - Visit Betfair! An interesting anytime goalscorer for Real Madrid is Isco: 5/2 – Visit William Hill! While for Liverpool, Sadio Mane looks good as an anytime goalscorer : 9/4 – Visit Coral! Having built up the dodgy ‘keepers, a close-run final with under 1.5 goals is appealing: 21/4 – Visit Unibet! Please note all odds are correct at the time of publishing (12:00 23rd May 2018) and are subject to change. Stuart is a freelance writer and well-known Arsenal blogger, writing A Cultured Left Foot since 2006. As well as football, he regularly writes about cricket, tennis, rugby, baseball and American football.